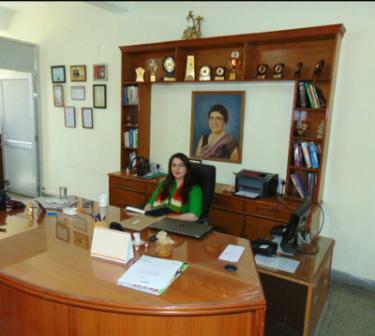 Mrs. Parnika Kalra: At AKSIPS, Our main emphasis is to develop the students in such a way so as to make them morally upright, intellectually well informed, socially concerned, emotionally balanced and physically developed. AKSIPS prepares the students for the 21st century, to be the torch bearers of the resurgent India. Conducive conditions are provided at school to facilitate all round development in children and to channelise their energies for excellence in every field. Manners maketh a man- this dictum finds its place within the walls of AKSIPS. The curriculum is developed to help the children in expressing their thoughts and feelings in a confident manner and to also arouse the spirit of curiosity in them.